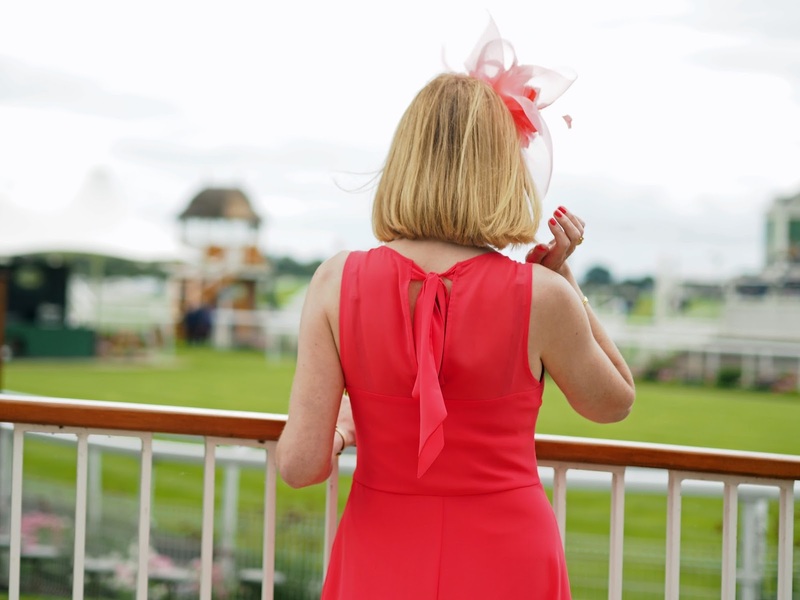 Last week, Ian and I had the privilege of being guests at York Races; we had a wonderful day and I’ll be sharing it in tomorrow’s blog post. Today though, is all about the outfit. 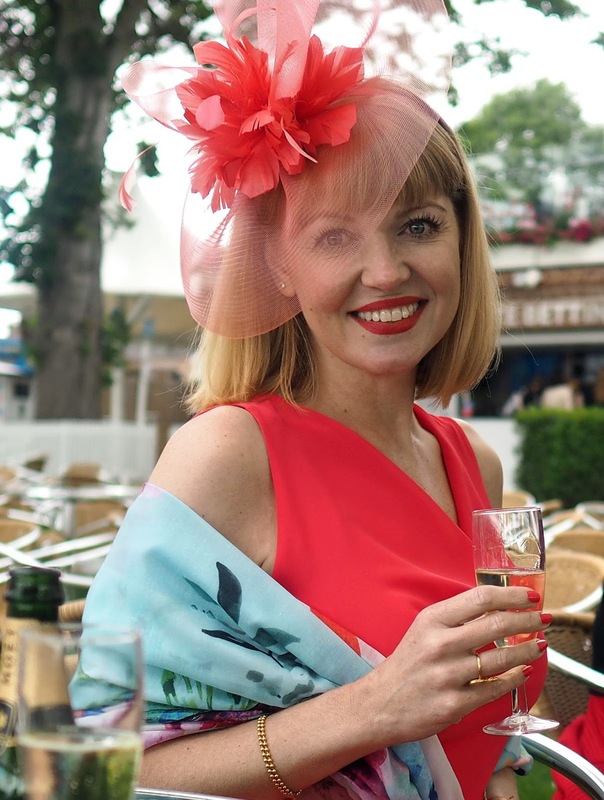 It’s always exciting attending a special event and I relish every opportunity to wear something fabulous and I teamed up with Monks Cross to find the perfect racing day outfit. Monks Cross is a shopping park close to York; a drive of just an hour and a quarter from me here in Skipton. There, high-street favourites including Topshop, Monsoon, Debenhams, Outfit, Evans, River Island and Clarks sit side by side, and because there is free parking for up to four hours, it makes it a convenient, pleasant shopping experience. 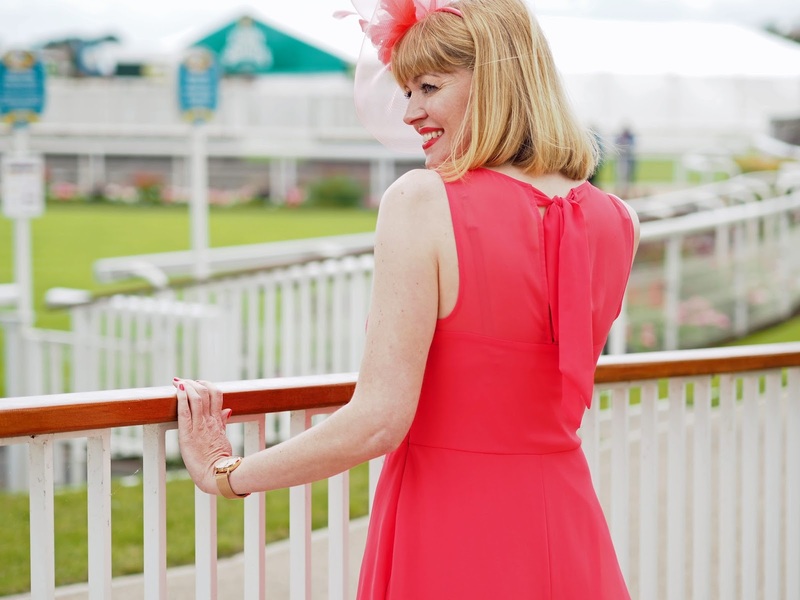 What Is The Dress Code For York Races? 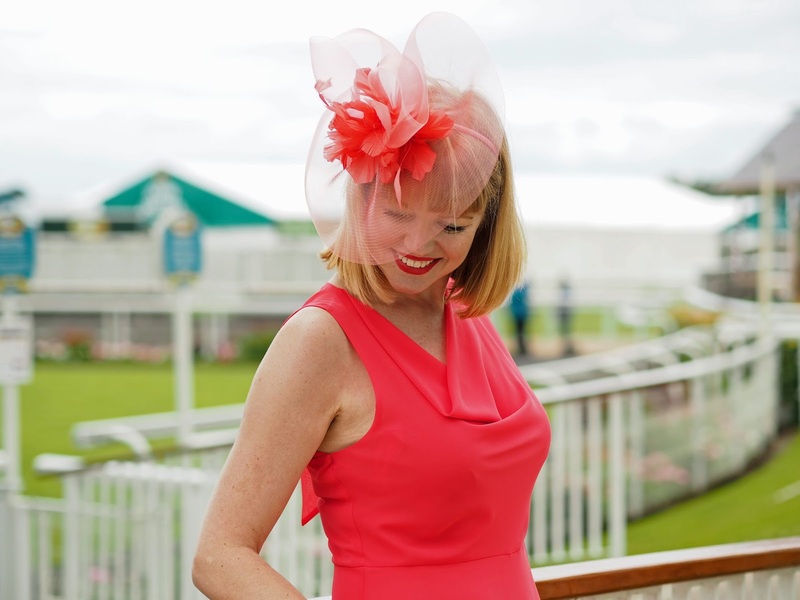 I was invited to choose a race day outfit including shoes and accessories, from the shops at Monks Cross. I checked the dress code for York Races before I shopped and interestingly, there are no guidelines on the website for women, but it does advise that gents, if in the County Stand, are required to wear a jacket, collared shirt and tie, with most choosing to wear smart trouser and formal shoes to complete the look. The dress code is more relaxed in the Grandstand and Paddock. Monsoon has a wonderful range of clothing from beachwear to wedding dresses and everything in between. There were a lot of bold florals which of course, being an anthophile, I was drawn to. These were my favourites and I’d have happily worn any of them on Race Day. When I shop in Topshop, it’s usually for my sixteen year old daughter, however, I was amazed by just how many options were suitable for my age group. 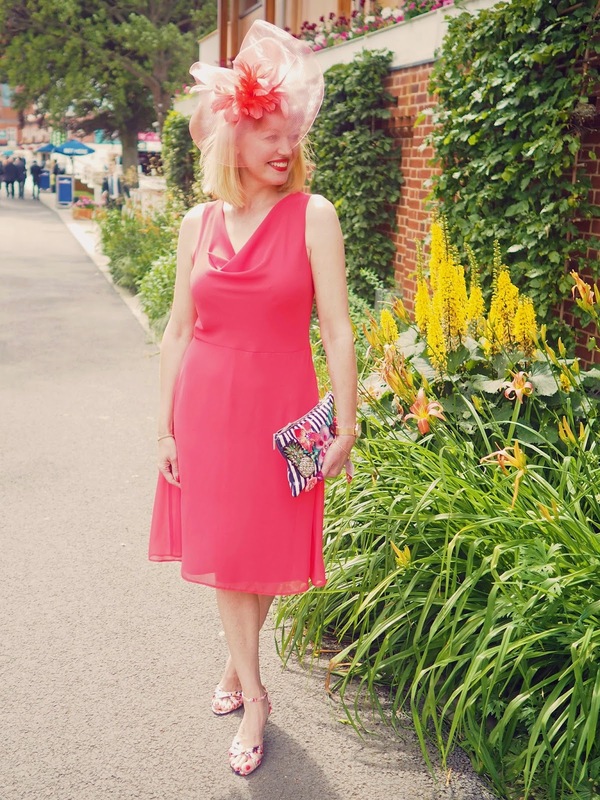 Pink is very on-trend right now, in shades from soft shell to vibrant fuchsia and although I felt the halter-neck broderie one below wasn’t quite right to wear to York Races, I bought it nonetheless and I wore it last week when away in Brighton which you can see here. The green wrap dress was absolutely sublime. Understated and chic, this was my equal second favourite out of everything I tried. 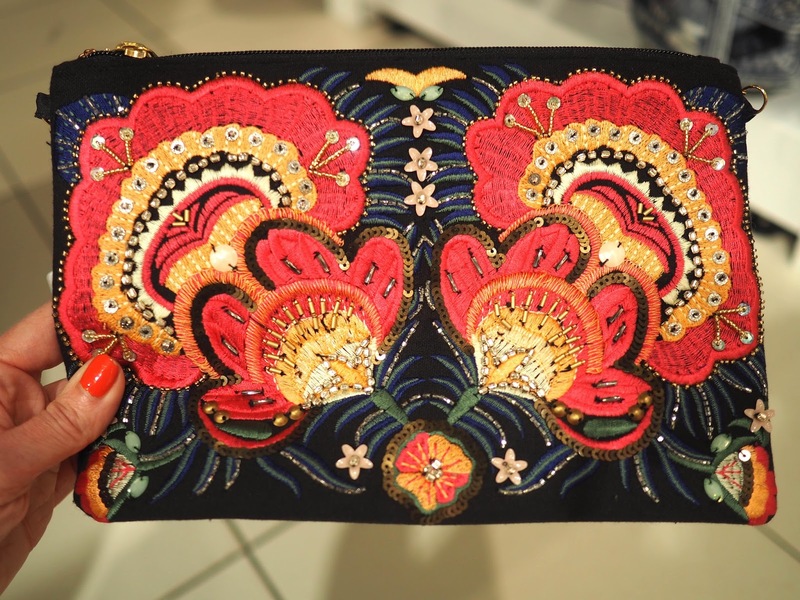 Debenhams is well-known for its designer concessions which is where this selection came from. 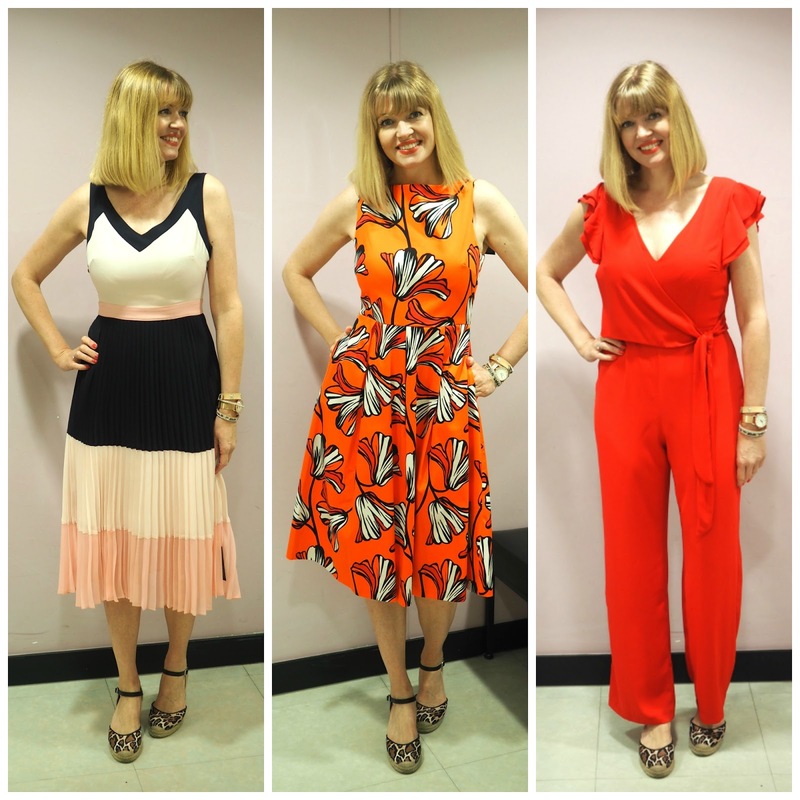 The orange one in the centre proved to be the favourite when I shared it on Instagram Stories the day I shopped followed closely by the red jumpsuit. I loved both too but the jumpsuit was slightly too short in both the body and the leg which was a little disappointing but not surprising because I’m almost 5’9″ tall and love to wear heels. 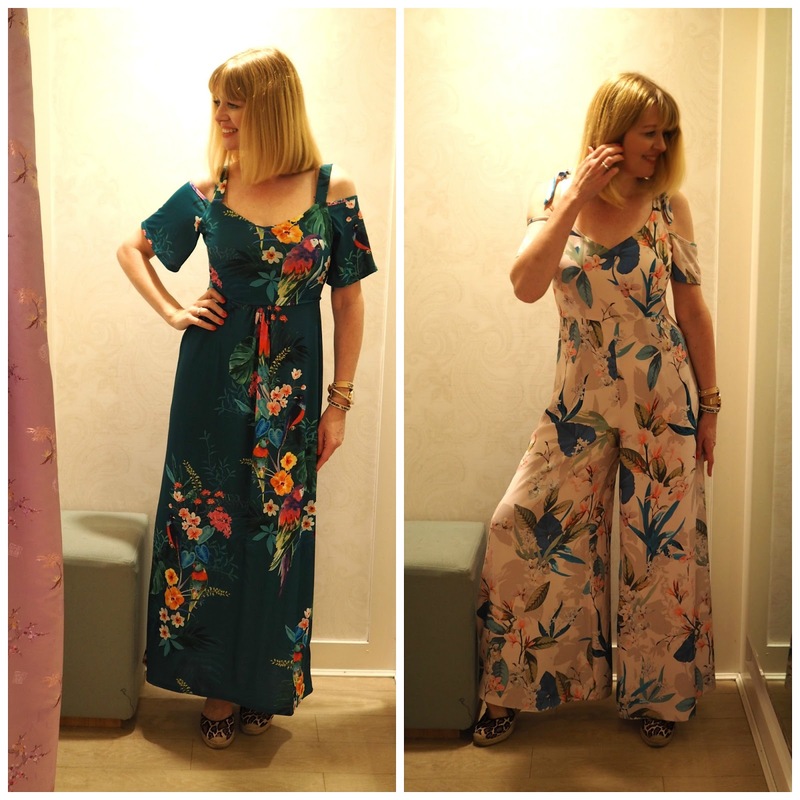 I spent the most time in Outfit because there, under one roof is Oasis, Dorothy Perkins, Miss Selfridge and Warehouse so there were lots and lots of options. I met with the lovely manager Sonya who showed me round and helped me to select a number of outfits. It’s clear from these photographs that we were both drawn to bright, clear, striking colours and prints. 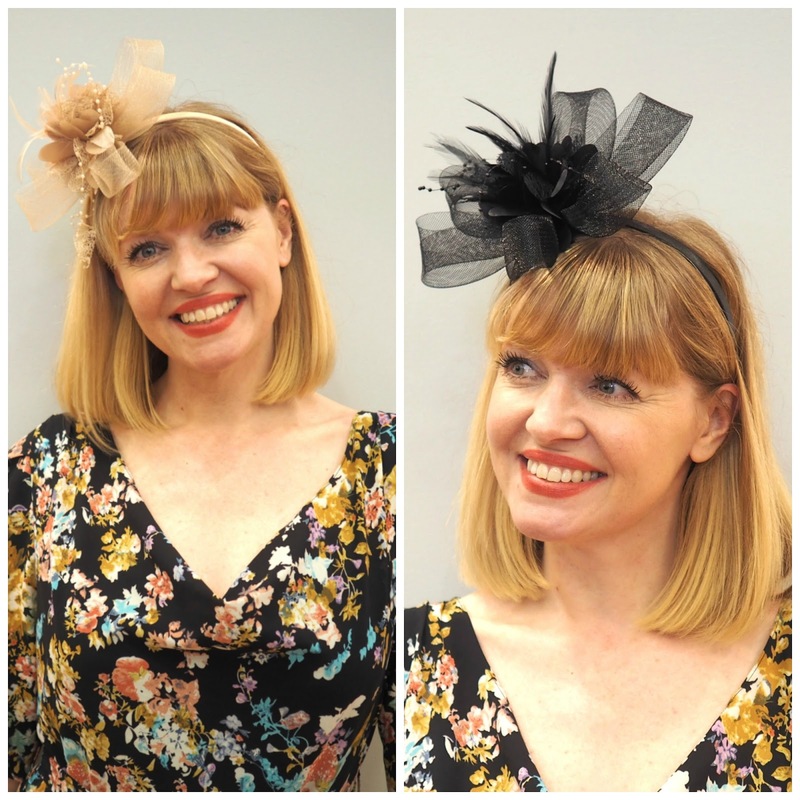 The fabulous fascinators caught my eye the moment I walked through the door and I knew that one of them would be my choice of headwear. The stunning combination of cobalt blue and tangerine in this outfit placed it equal second overall. It’s perhaps an unexpected combination and one I adore. 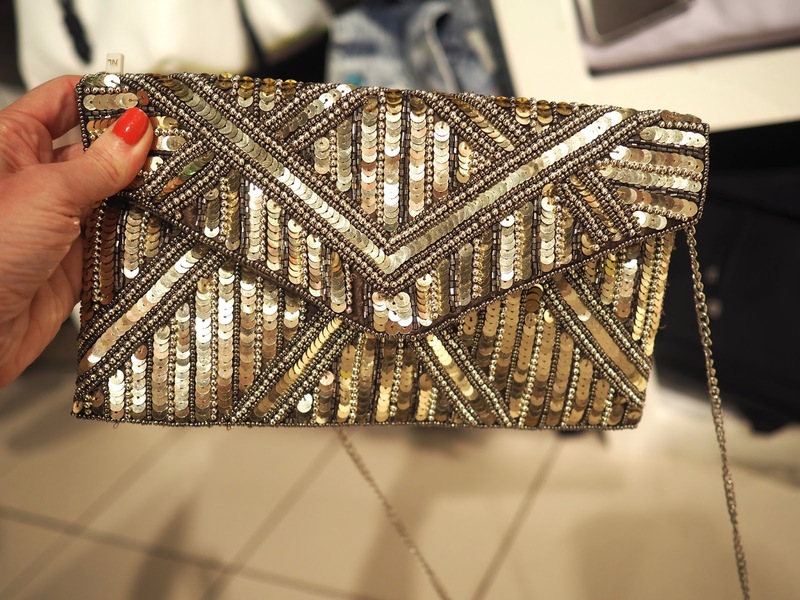 New Look also had some beautiful dresses but realistically, the styles were better suited to someone a little younger but I would have bought any one of these fabulous clutch bags in a heartbeat. 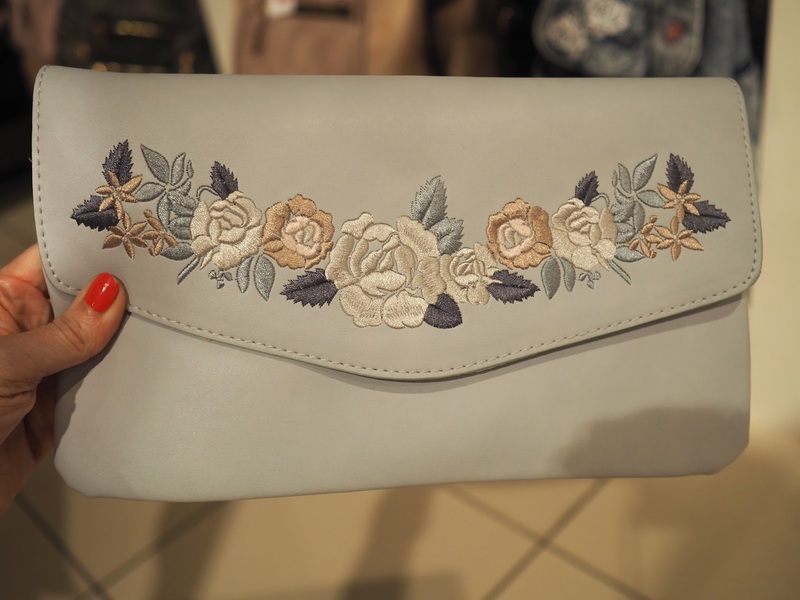 I saw several clutch bag and shoe options in River Island too. 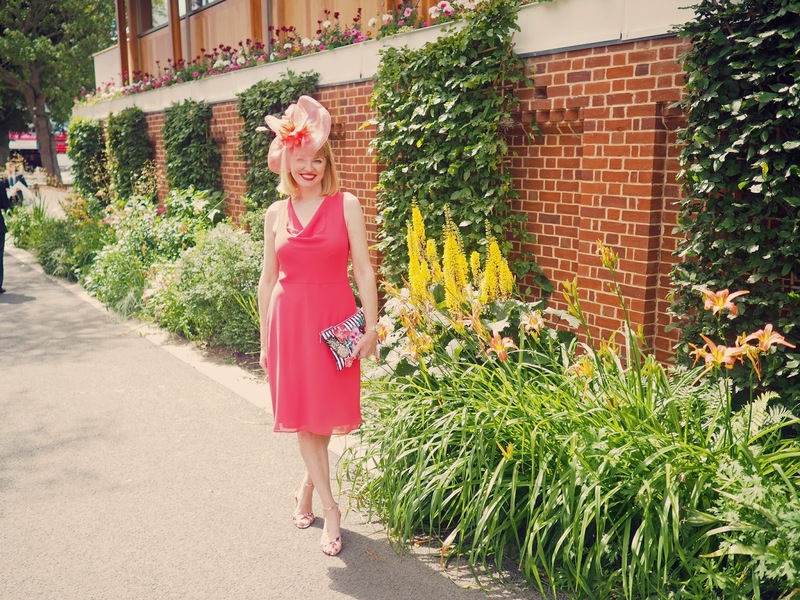 Along with a wedding, a day at the races is the perfect time to use matching accessories and this floral sandal and matching clutch bag stopped me in my tracks. 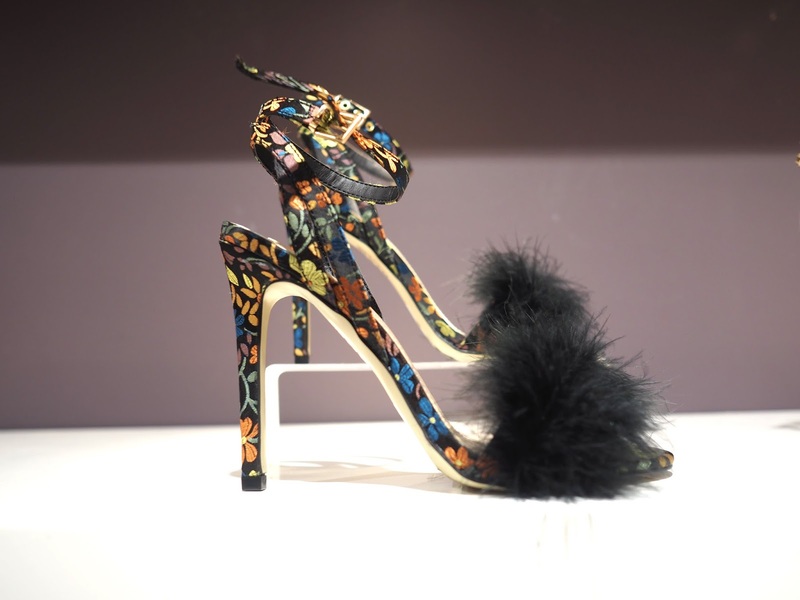 And how fabulous are the pompom sandals below? You know by now that I have a thing for shoes so I was rather excited to see these which would have elevated the pink Topshop wrap dress (above) into something rather special. 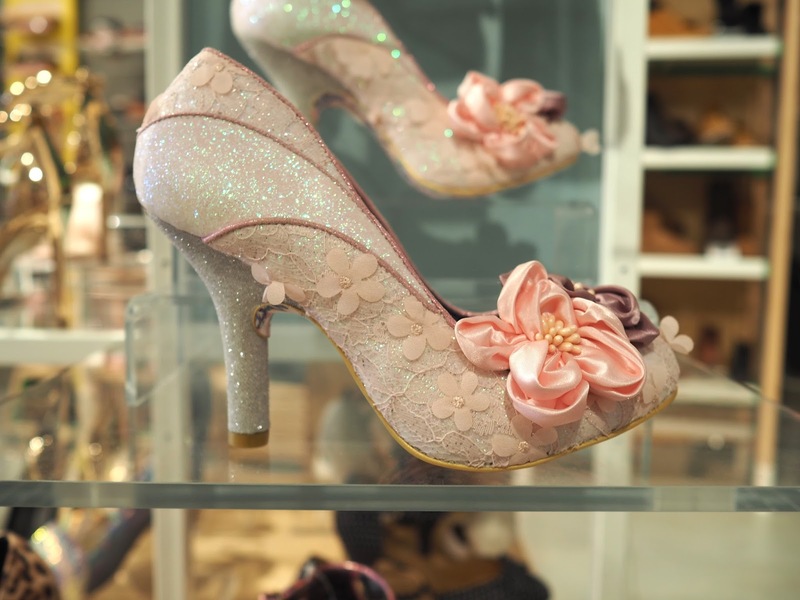 And these fabulously quirky shoes by Irregular Choice at Schuh would turn even the simplest of outfits into occasionwear. 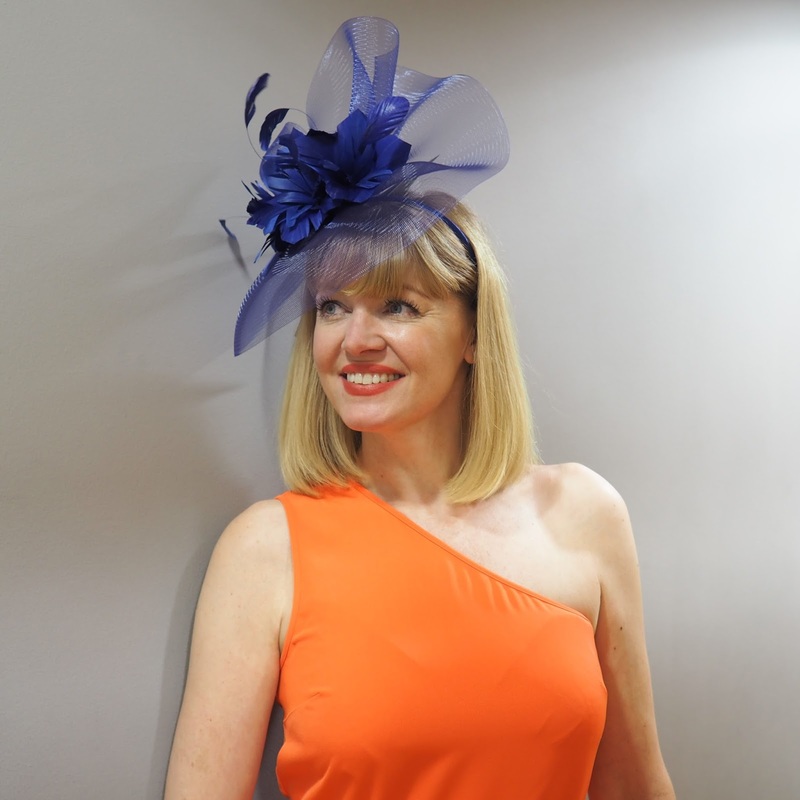 Although my head was truly turned by the cobalt and the coral large fascinators from Outfit, these ones in Evans would be perfect for those wanting a more understated look and could be worn with so many different styles and colours. Although there were two outfit contenders in joint second place, (does that class as an “each way” bet? 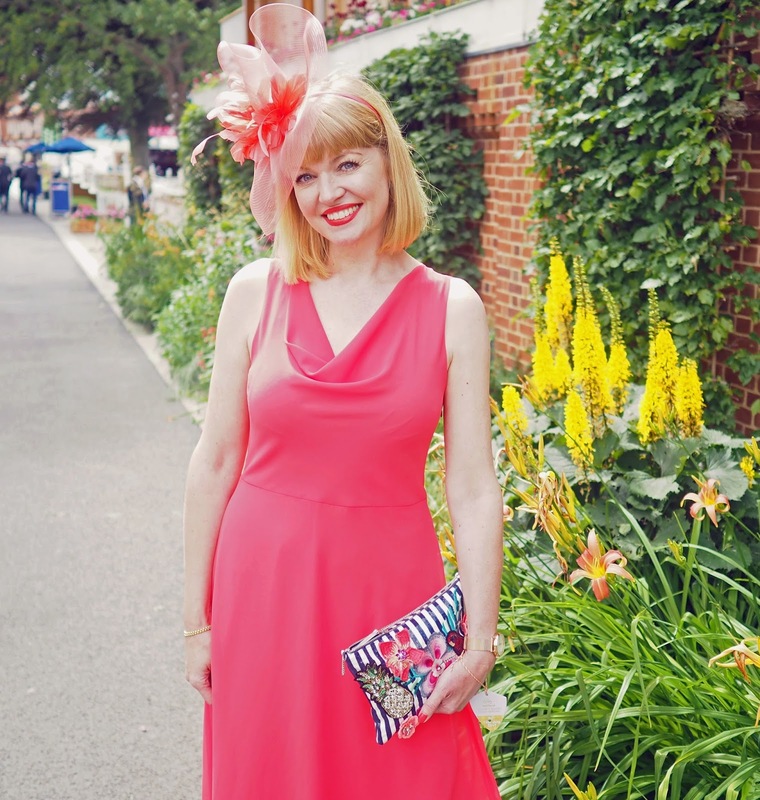 ), I knew as soon as I saw this dress that it was “the one.” The coral fascinator was an immediate winner and Sonya, (from Outfit), brought this dress to me knowing it would be a great match; I could tell even when it was on the hanger that it was indeed the case. 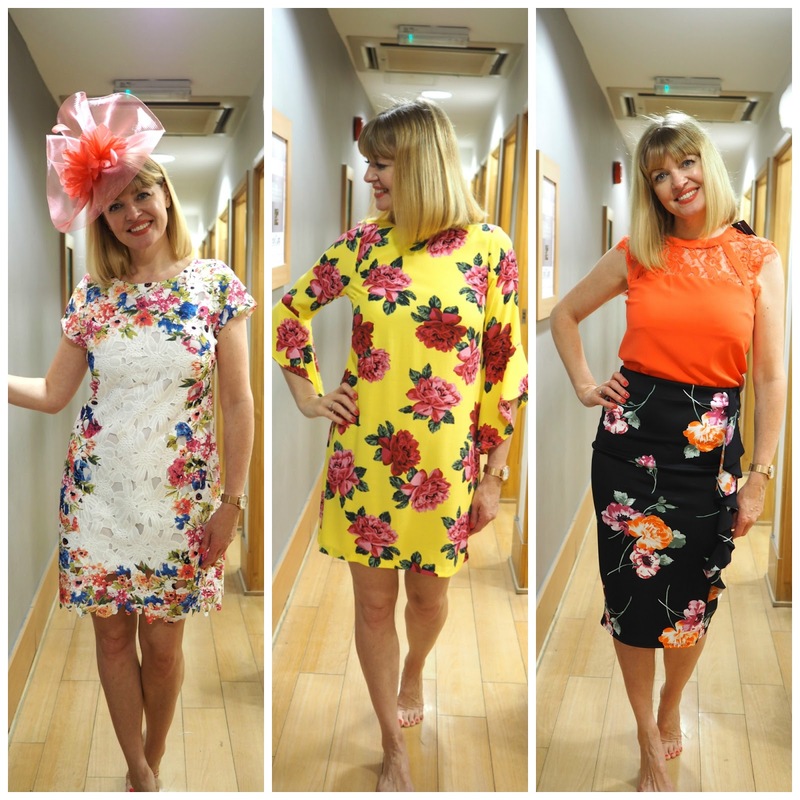 While I am in no way averse to wearing a hemline which sits above my knee, sometimes, things are a little too short for a given occasion and there were a few choices that would have been ideal for my holiday but not quite long enough to wear to York Races. This dress falls perfectly and because it is a lightweight chiffon, it swishes and swooshes beautifully. 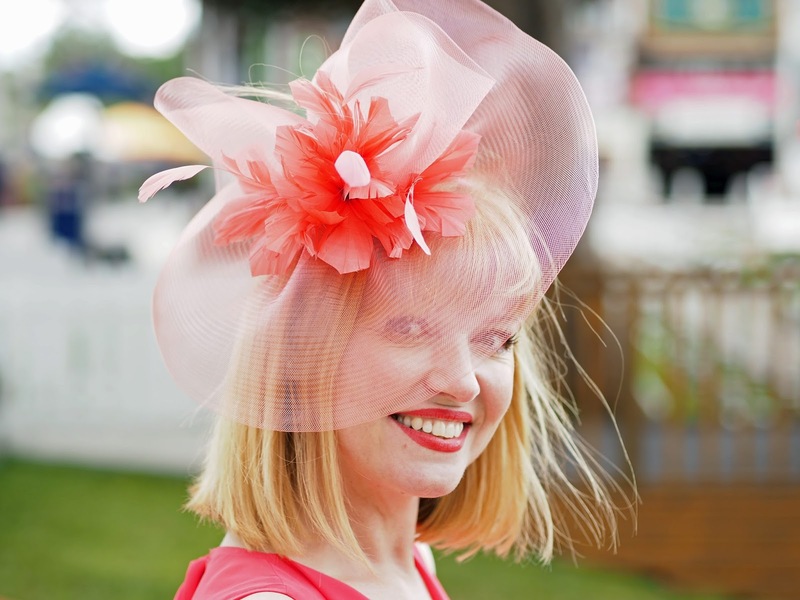 Like the fascinator, it’s from Dorothy Perkins and is elegant, chic and stylish. 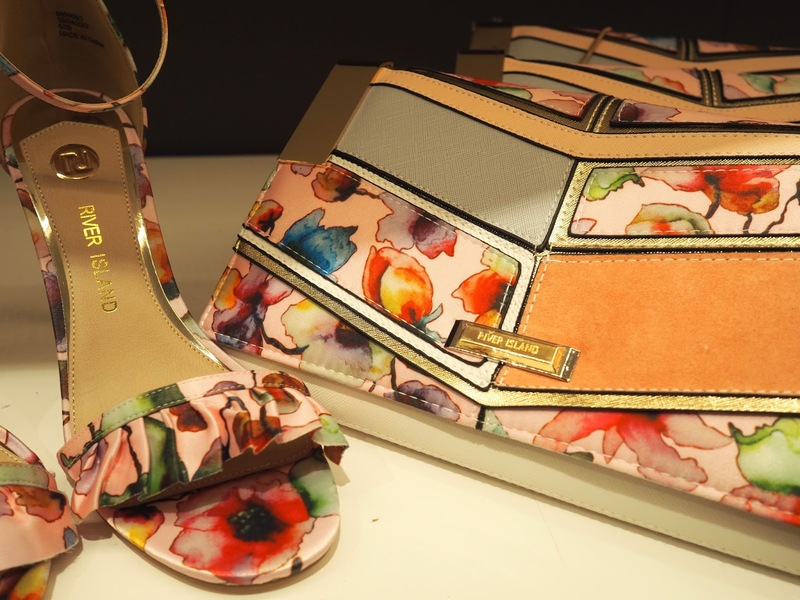 A self-coloured dress can take patterned accessories and I chose a floral sandal, again from Outfit, which has the vibrant coral of the dress within the pattern. This over-sized scarf from Accessorize co-ordinates well and I knew that it would serve to keep me warm in a breeze or to protect my shoulders from the sun if it were warm. as it happens, it was dry with sunny intervals but rather blustery so I was very glad of it. I wanted to inject a bit of fun and personality into the ensemble and this beaded and sequinned from Accessorize ticked all of those boxes. The colours co-ordinate but the design is lighthearted and I love it. Anything other than a simple stud earring would have been too busy with the fascinator, so I wore plain diamante ones are from a set from River Island. Finally, my nails. I was in two minds whether to clash or to co-ordinate and decided upon the latter, this Revlon polish being my final choice. 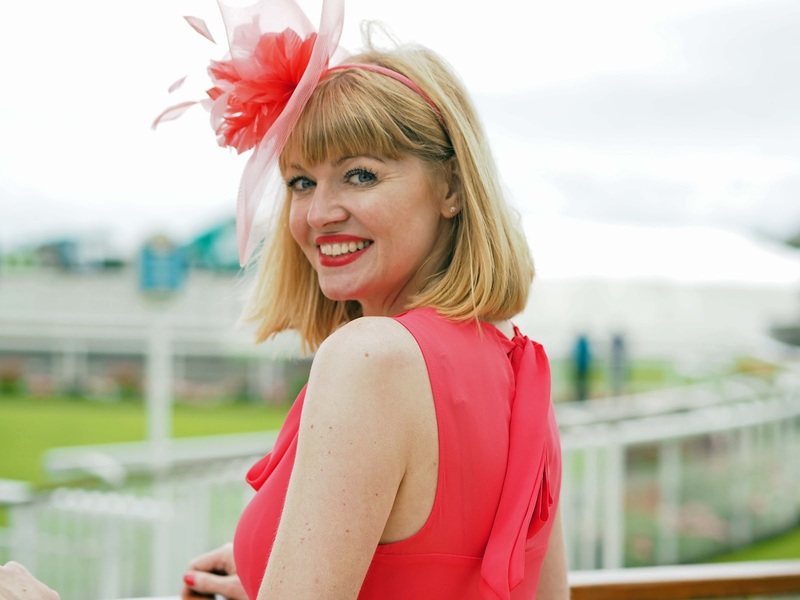 Head over to the Monks Cross Shopping Facebook page where you have a chance of winning £50 to spend in Outfit Fashion at Monks Cross (where my dress, hat and shoes were from). Good luck! Don’t forget to come back tomorrow for my blog post all about Raceday, which I hope you’ll enjoy reading. In the meantime, I’d like to thank Sonya at Outfit Fashion for finding such a wonderful dress. *My outfit is courtesy of Monks Cross Shopping Park, with whom I partnered for this blog post. My opinions are always 100% honest and the content is always my own. Thank you for supporting those brands, companies and organisations that support What Lizzy Loves. Previous Post Why Hyaluronic Acid Affects The Skin And My Trial Of PureHA, An Oral Supplement. 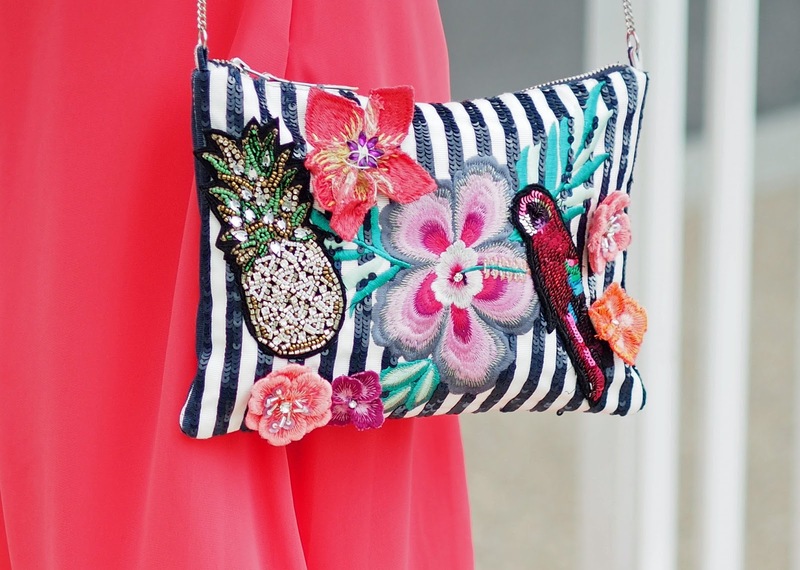 What a fantastic post Lizzy, I loved drooling over all those dresses bags and shoes! It's wonderful to get the chance to dress up. Loved your winning outfit. The colour is grray on you and the Accessorize scarf is a terrific contrast. 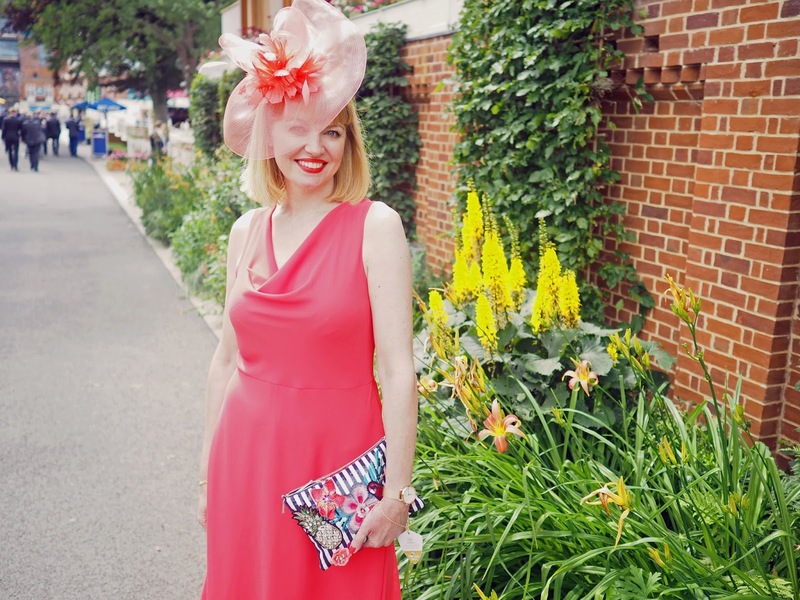 Liz it goes without saying that you look fantastic in ALL the outfits (OMG the Monsoon jumpsuit is perfection) – but you absolutely chose the best one… The colour is all sorts of berautifukl on you, I'm so glad you did the monochrome thing and chose all coral red colours!! You definitely chose the right one! I loved reading through this post and thinking, "god, why not THAT one, oh no, maybe THAT one… hang on, that one is good too…"
I think you chose the PERFECT one, and I agree, the tangerine and cobalt would have been my second choice as well. Can I just say, good heavens, what a figure you have?? ?